Harvick has a whopping nine wins in Phoenix. Wins are, of course, the name of the game, so they’re important. He’s is the all-time win leader at ISM Raceway; next on the list is Jimmie Johnson with four, less than half of Harvick’s total. You can look at that a couple of ways. 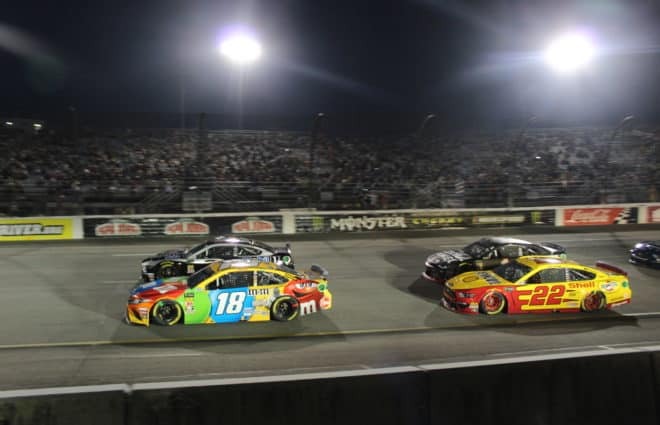 The Monster Energy NASCAR Cup Series has raced at ISM since 1988, so some of the all-time greats were excluded, or at least past their primes when they raced there. But it’s also strong evidence of Harvick’s somewhat understated greatness. A sure-fire Hall of Famer, Harvick’s career was somewhat overshadowed by Johnson’s because Johnson was the more successful overall. But for a driver to rack up a record number of wins at a track is a mark of his ability, and while it could be argued that it’s just one track, mediocre drivers don’t post all-time wins at any track. It also makes Harvick a safe bet for the office pool or fantasy team. But there have been five different winners in the last five races at ISM. Harvick is one of those, winning the spring race last year. The days when he reeled off five wins in six races, including four in a row, are a few years back now. 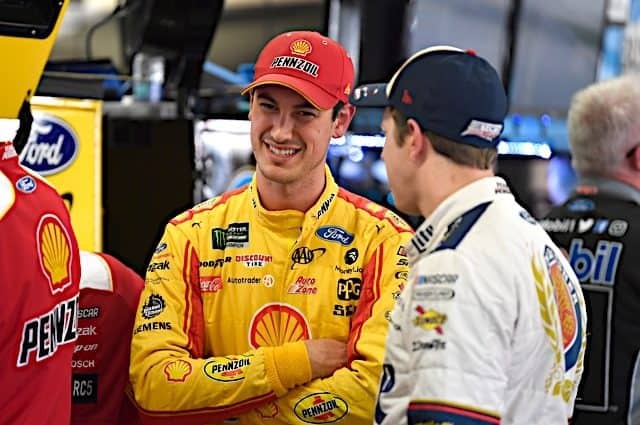 Joey Logano, Ryan Newman and Kyle Busch also have recent wins and will be in the field on Sunday, and Matt Kenseth has retired since his last win at ISM. Harvick is still the favorite due to his past record, but more recent races hint that there will be others in it to win it. One reason Harvick has been so successful at ISM, wins aside, is that he has finished every race he’s started at the one-mile oval. In 32 starts, he has completed 99.8 percent of all laps run. 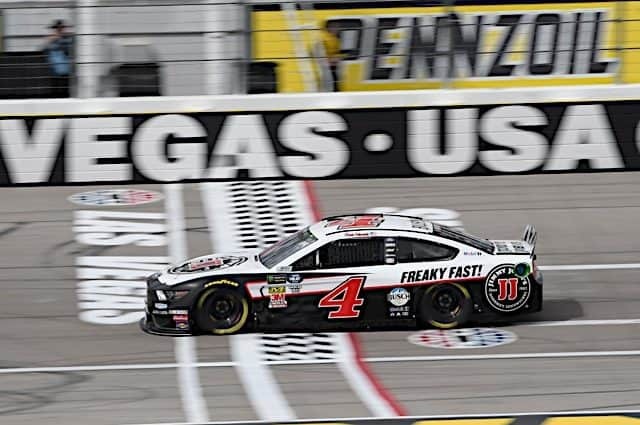 The last time Harvick didn’t finish on the lead lap was the Fall race in 2009. There are a couple of things at play on these numbers. First and foremost, it speaks to Harvick’s success at the track, but it’s also an indication of having top equipment. 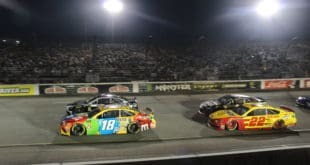 Lead lap finishes do require cars capable of running close enough to the leaders to stay ahead of them if nothing else. They’re a decent indicator of the type of equipment a driver has, though numbers like Harvick’s at ISM are exceptional. There are two numbers you can look at with regards to qualifying: poles and average start. 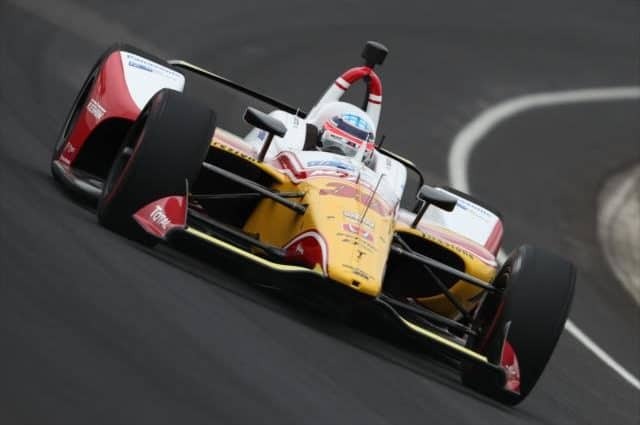 While poles are important at facilities where track position is key to success, average start is a better tale of a driver’s skill in getting the most out of a car regularly, giving him a solid chance to run up front every time out instead. Larson has a sixth-place average starting position, which is an all-time ISM best among all drivers with 10 or more starts but no pole so far. Starting position varies from track to track in importance. At ISM, it’s not as crucial as you might expect. Harvick’s average start is just south of 15th, for example. Three of his nine wins came from a start of 15th or worse, with just one coming from the pole. At some tracks, a start outside the top 10 or even the top five can make the race a struggle from the start. Looking at the average start gives an indication of which driver can put themselves in a good position, but it’s no guarantee of success. Harvick has the best average finish of all drivers with more than 10 starts at 9.3, but take that to five and new Hall of Famer Alan Kulwicki leads the way with an impressive 5.2 average. He was the winner of the first Cup race at ISM in 1988. Looking at the top 10 drivers in average finish (keeping with five or more starts), five are already in the Hall: Kulwicki, Dale Earnhardt, Mark Martin, Jeff Gordon and Davey Allison. Of the remaining five, three are virtual locks when they retire: Harvick, Johnson and Kyle Busch. If you look at the best finishers over time at most tracks, that type of pattern usually emerges. The drivers who are consistently running near the front are the ones who win races. No surprise there. The old adage is that to win, a driver must be in the position to win. Average finish isn’t a guarantee of wins; Earnhardt and Kulwicki had one apiece at ISM along with average finishes better than 10th. It is a number to watch for youngsters looking for wins, and fantasy players looking to strengthen their lineup. 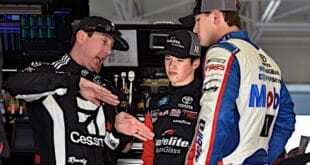 The flipside of the best drivers at every track are the ones who struggle. At ISM, the worst average finish for those with more than 10 starts is Mike Bliss at 34.8. Even in a field of 43, that’s not very strong. Is it an indicator of a driver who couldn’t figure out the track or a reflection of poor equipment? The answer is often a mixture of both, as it’s certainly a struggle for a driver who has never truly had competitive cars to post great numbers or to learn how to improve the average. 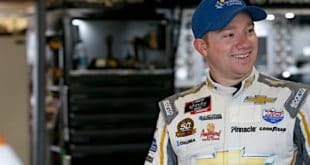 The worst average start at ISM for a driver with more than 10 starts is Tony Raines at 31.0. It’s interesting to note as a contrast to the more successful drivers but isn’t particularly telling in the bigger picture other than suggesting either driver or car was not up to par. And even top drivers can struggle at a particular track. At ISM, Hall of Famer Bill Elliott only boasts an average finish of 22nd. Fellow member Dale Jarrett only finished on the lead lap half the time, 11 of 22 starts. Other successful drivers who struggled at ISM are Sterling Marlin, with just five of 24 races on the lead lap, and Kyle Petty with four of 23. Bliss is 0 for 12 in that category, again suggesting equipment was in part an issue. 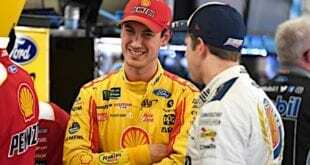 Current drivers Paul Menard (11 of 24 races finished on the lead lap) and Logano (11 of 20) have also had their ups and downs. Overall, numbers are fun to look at, but they’re also revealing if you look for certain trends and patterns. Statistics rarely tell the whole story, and they can be misleading. But overall, they’re a good indicator of a driver’s career if you know what to look for. 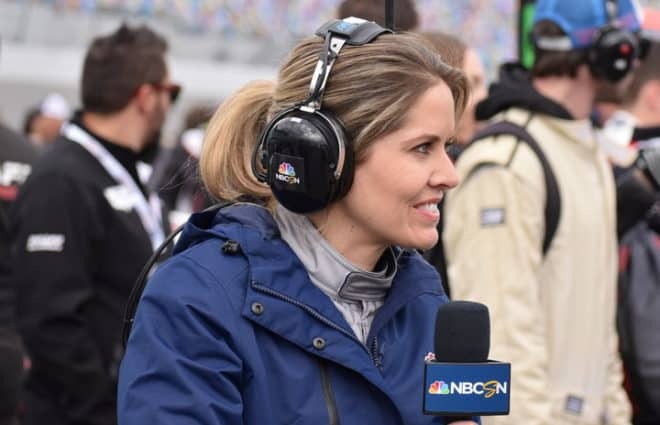 Next NASCAR Mailbox: Who Could be the Next First-Time Winner in the Xfinity Series? Harvicks career was “somewhat” overshadowed by Johnson’s . LOL Yeah, to put it mildly. Also, Harvick’s number of penalties have been overshadowed by Johnsons, as well as Johnson’s successful appeals of those penalties (wink-wink).